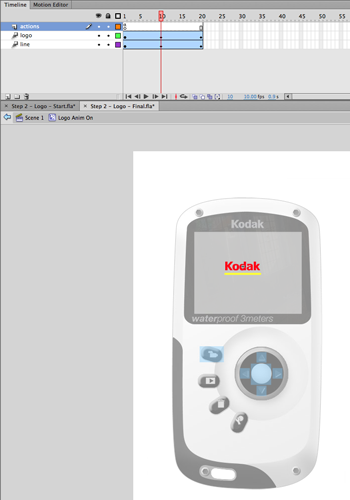 This is a series of tutorials that demonstrate how to create an interface prototype in Flash. 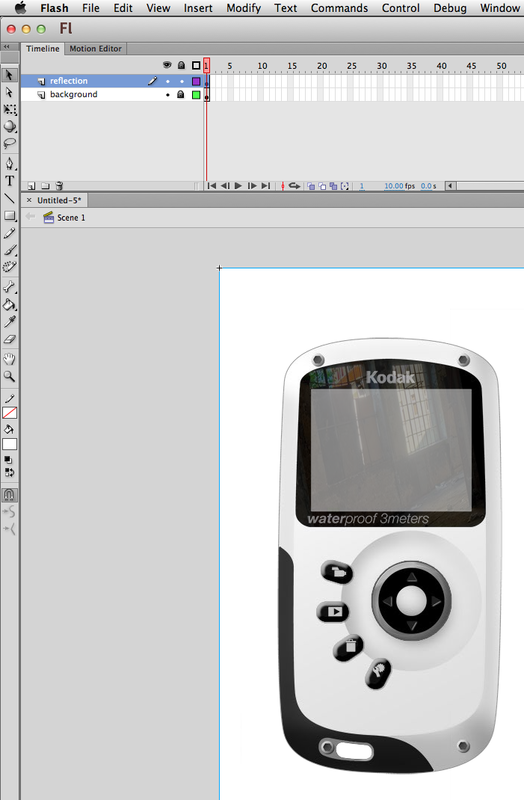 The images of the product are created from renderings created in Photoshop while the graphics and interaction is developed with Flash’s authoring environment. 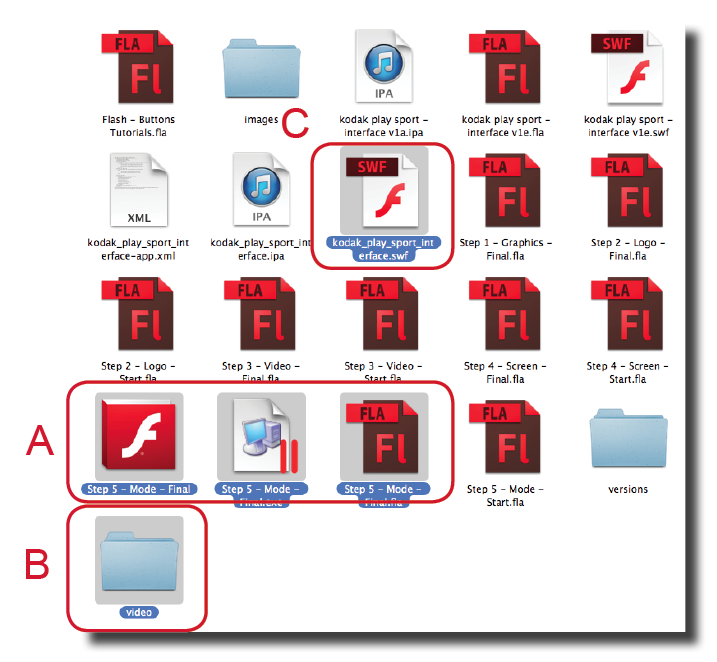 This tutorial shows how to publish a Flash file in different formats. Posted in Flash, Intro to Computing I, Tutorials. 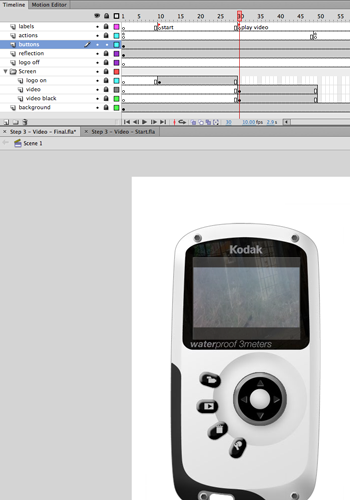 This tutorial shows how to add video to a Flash file used for an interface prototype. This tutorial provides some basic information about ActionScript and how to use it to control a Flash interface prototype. This tutorial shows how to setup MovieClip with its own timeline animation in a Flash file for an interface prototype. This tutorial shows how to create a button and navigate through a Flash file. 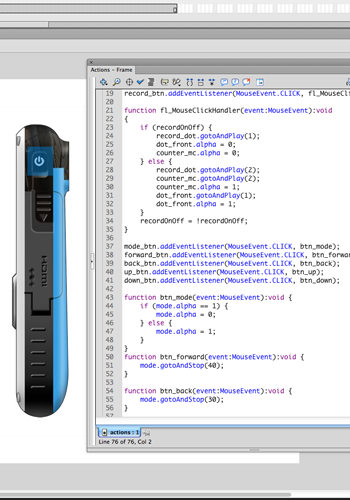 This tutorial shows how to setup a Flash file for an interface prototype.